Earlier we had covered that the Samsung will unveil the Galaxy S9 at MWC 2018 but not at CES as it was being expected earlier. The Galaxy S9 will be unveiled at MWC 2018 in February next month but if you were curious about its specifications then here we have the full leaked specifications of the Galaxy S9 just ahead of its announcement. 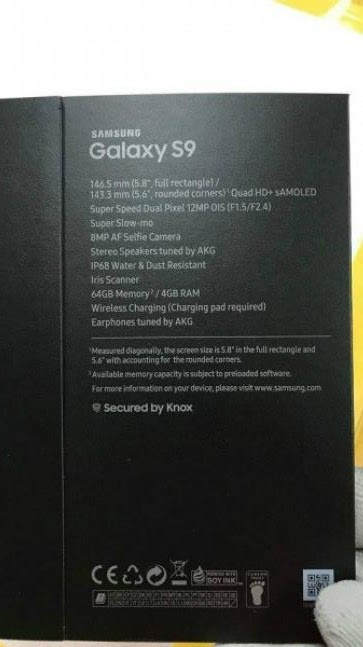 According to the leaked specifications of the Galaxy S9 found on the alleged Galaxy S9 retail box image shared on the social media site Reddit, the Galaxy S9 seems to come with little improvements especially in the speaker and the camera section which includes Stereo Speakers and a Variable Aperture Rear Camera. 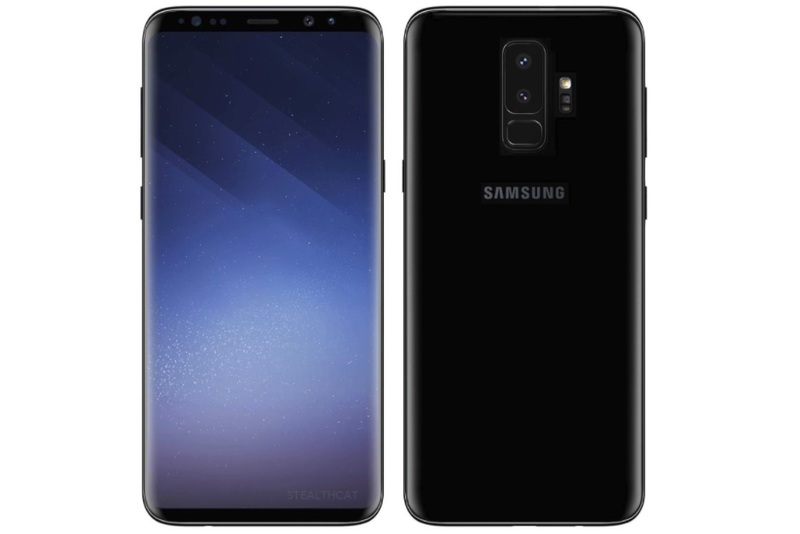 According to the leaked specs of the Galaxy S9, it will port a 5.8-inch Quad-HD+ Super AMOLED display, IP68-certification for water and dust resistance, Iris scanner, 4GB RAM and 64GB storage, it will sport an 8-megapixel front camera with autofocus it will also support wireless charging. The Galaxy S9 is also said to include AKG tuned earphones in the box.